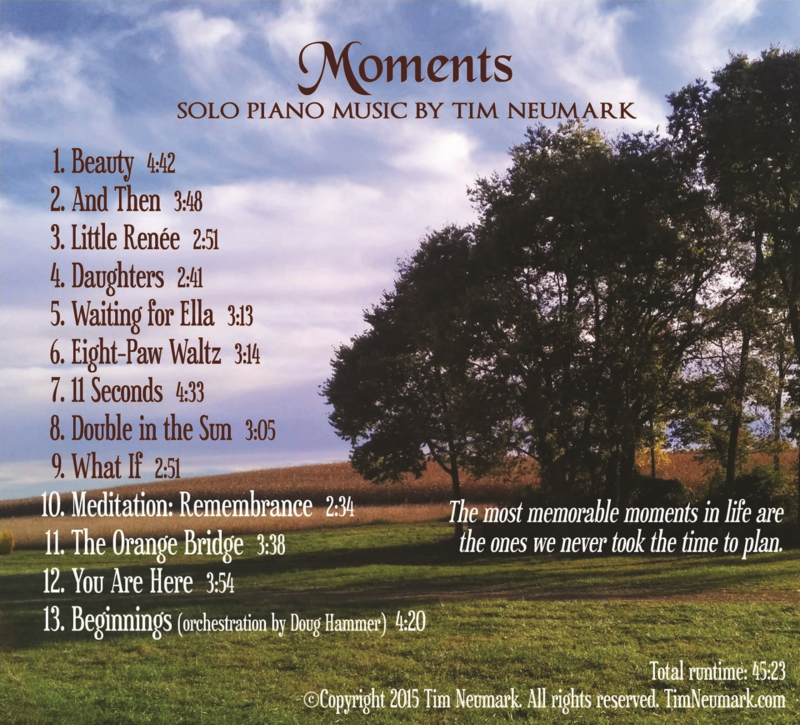 Moments is Tim's seventh CD, released in 2015. 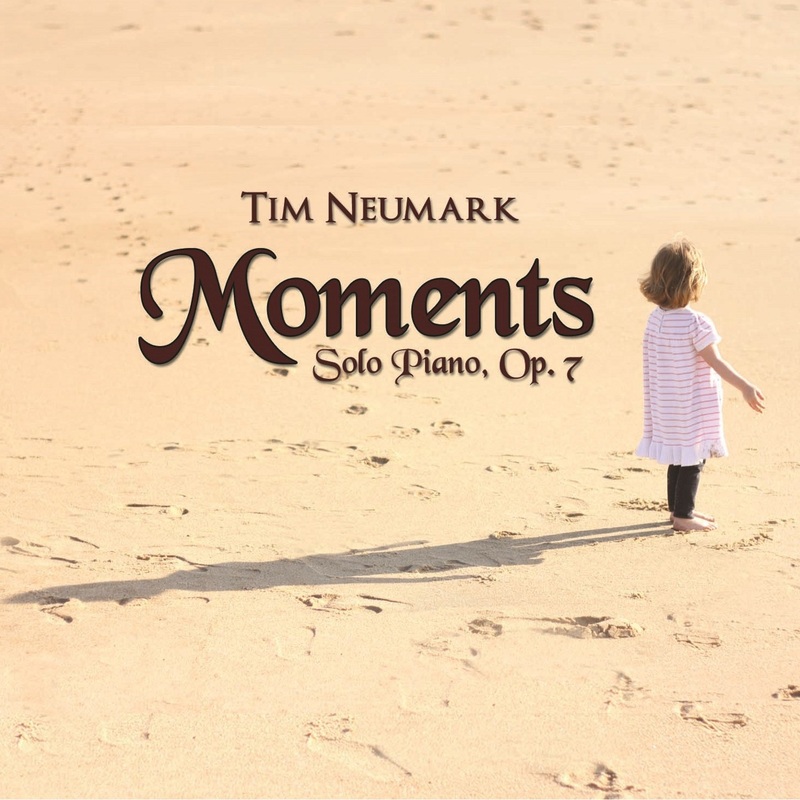 Moments is currently nominated for SoloPiano.com's Classical Album of the Year! The best moments and memories aren't necessarily the weddings, graduations, and births, but the smaller events in your life: your child dancing, pets greeting you at the door, a touching book or piece of music. A happier, shorter, more major-key album, Moments tells the story about some moments in Tim's life while giving the listeners time to reflect on their own personal moments. For the complete background to this album and its tracks, see Moments: Behind the music.